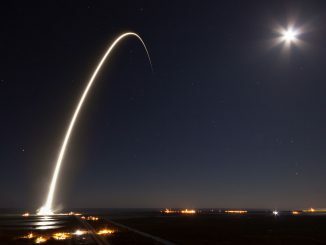 A SpaceX Falcon 9 rocket launched into a starry moonlit sky Thursday from NASA’s Kennedy Space Center in Florida, making a speedy trek across the Atlantic Ocean to place a commercial television broadcast satellite into orbit for EchoStar. 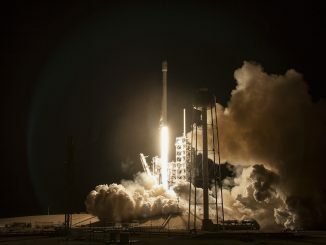 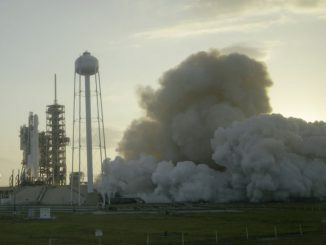 Rain showers and gloomy clouds blew through NASA’s Kennedy Space Center on Monday evening, but it was high winds that prevented liftoff of a SpaceX Falcon 9 rocket early Tuesday with a commercial communications satellite. 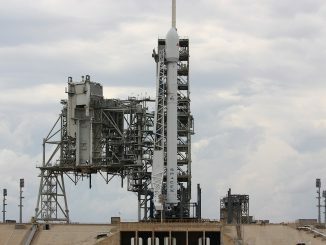 Launch has been rescheduled for Thursday at 1:35 a.m. EDT (0535 GMT). 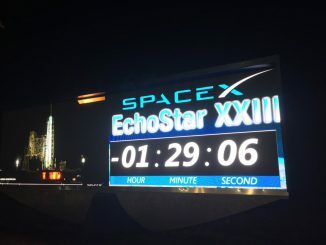 A 229-foot-tall (70-meter) SpaceX Falcon 9 rocket stood on launch pad 39A on Monday afternoon on the eve of a scheduled blastoff with the EchoStar 23 television broadcast satellite. 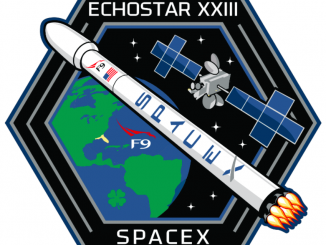 SpaceX’s Falcon 9 rocket is set for liftoff from Cape Canaveral early Tuesday, heading due east over the Atlantic Ocean to deliver the EchoStar 23 communications satellite into orbit 34 minutes later. 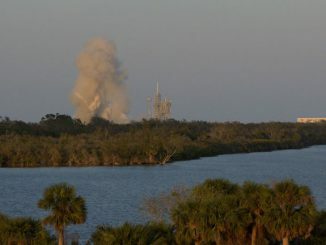 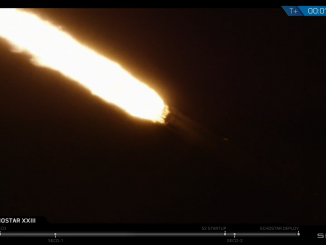 SpaceX launched its Falcon 9 rocket at 2 a.m. EDT (0600 GMT) Thursday, two days after high winds prevented liftoff. 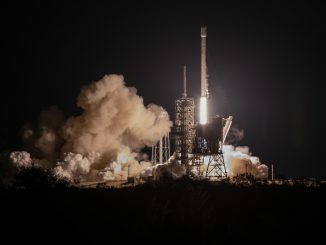 The nearly 23-story booster carried the EchoStar 23 communications satellite into orbit from NASA’s Kennedy Space Center in Florida to provide broadcast television programming across Brazil. 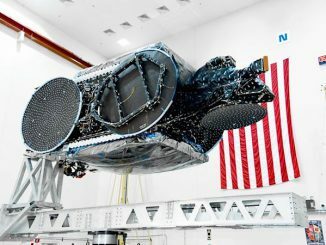 SpaceX is expected to transfer its next Falcon 9 rocket to launch pad 39A at NASA’s Kennedy Space Center in Florida on Monday with a direct-to-home television broadcast satellite on-board, setting up for a two-and-a-half hour predawn launch window Tuesday.